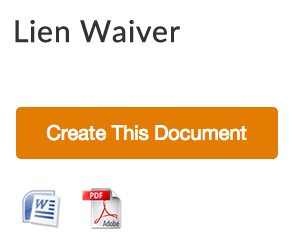 What is a Mechanic’s Lien Waiver? In a construction project where there involves a contractor and the claimant, the payment usually comes first even if the construction has not yet started. And, sometimes it also comes during the construction itself or after. Therefore, to protect the right of the owner to the whole property after paying, a documentary evidence must be present. The document that could appropriately be signed here is the mechanic’s lien waiver. A mechanic’s lien waiver is signed by the claimant and held by the contractor to prove that the latter has paid and the former received the payment. Hence, no rights remain to the claimant after signing the said document as he waives it all to the contractor. He does not have the right to seek for mechanics lien over the property later on. There could be two reasons why this waiver is issued. One is to let the contractor ensure that the contractual will not run after his property after payment, and second is when the contractual wants to release right over the property because he is being paid on time. 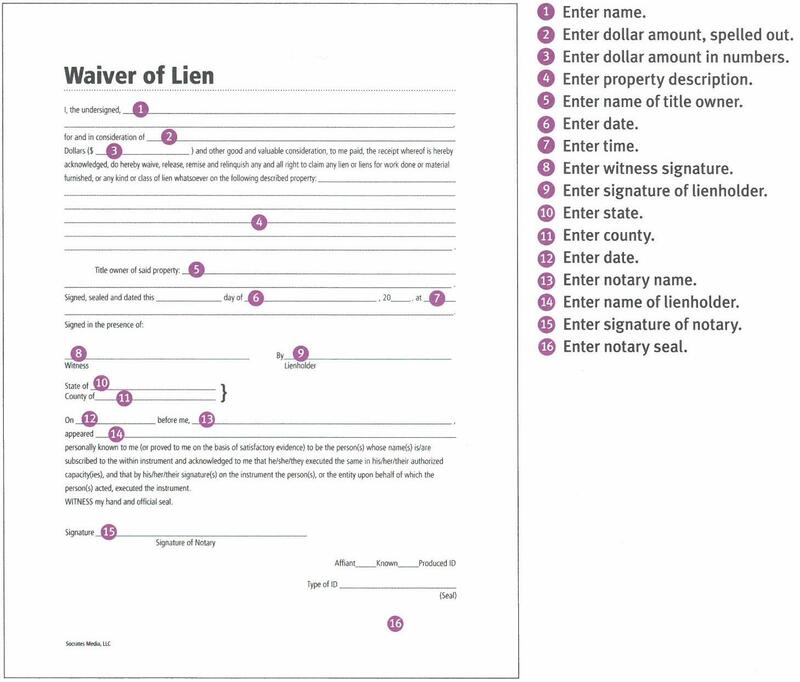 These are the types of lien waivers and each has different forms. So, if you see one as the most appropriate, use that over the others. All rights are waived as long as payment is up to date. All rights are waived unconditionally, regardless of being paid or not. The claimant has no right to file a mechanics lien if payment is updated. The claimant has no right to file a mechanics lien regardless of being paid or not. If you have not signed any waiver, you can claim a mechanic’s lien once you noticed that you are not being paid right. What you need to do first is to look for a lawyer for help about how to make the whole document or if there is a general mechanic’s lien template. Your lawyer surely knows more about that so he can help you more with it. However, if you want to reduce the fees that will be spent for a lawyer, you may also get free mechanics lien form online. Upon filing the lien, make sure that you passed some of the criteria set for claiming. One major criterion is that, it should have been 90 days since you stopped working for a project because you are not being paid anymore. Other rules regarding the filing of a mechanic’s lien may also vary depending on what state you are in. So make sure you have a deep understanding over those before filing so you will not be having any problems in claiming the lien soon. Everybody has the right to be paid for what is due, so upon binding in a contract, make sure not to sign a waiver if you have not thought of the possibilities well. Do not rush even if it is your friend who contracted you since filing lien could be complicated.